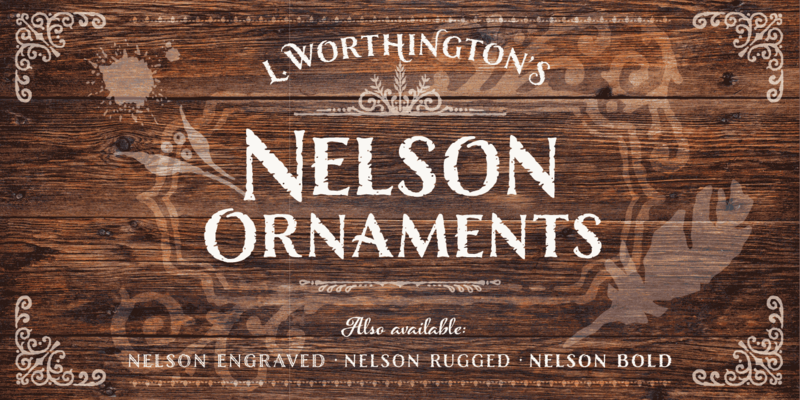 Evocative of paint on weathered wood, Nelson’s Ornaments are as rustic and confident as the Old West. 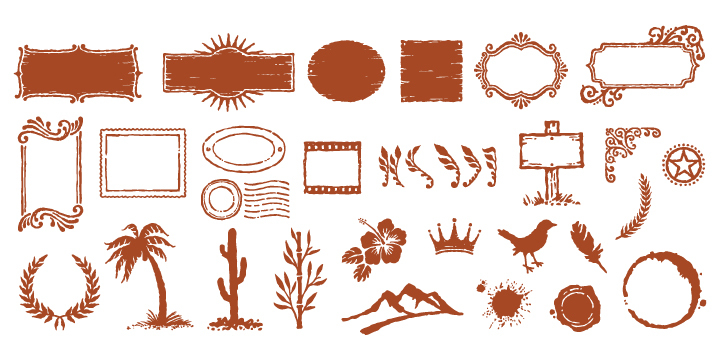 Create handsome wordmarks, or captivate customers of food packaging, restaurant menus, and roadside attractions. 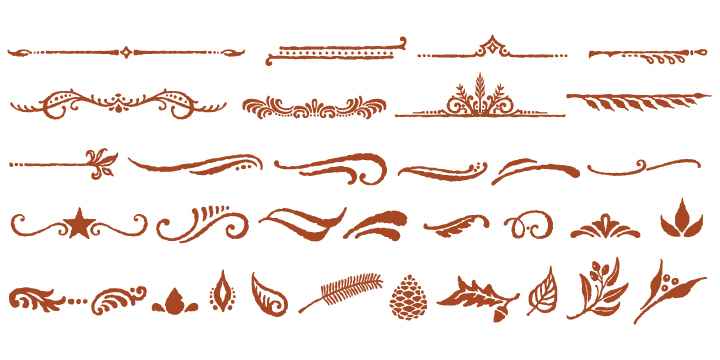 A font family published by Laura on Friday, July 29th, 2016 that has 1,814 views so far.